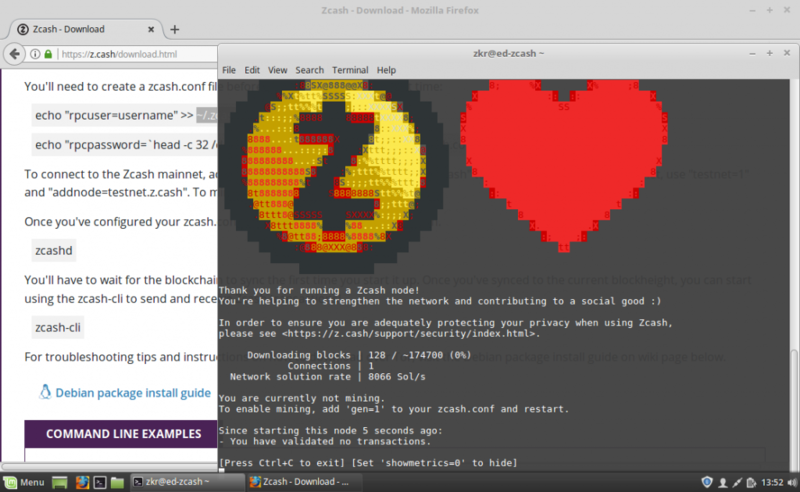 Step by step explanation of how to mine Zcash, Ethereum, Zcoin from my own experience, you will find here all my notes and experiences. It’s always better to create your own wallet instead of using a site who will be holding your money and everything, if the site fades away one day or get hacked you will lose your money, on the other side also there is a risk creating the wallet by running a server node of any currency in your machine, let’s say if you download the client and run a Zcash node in your computer which also is using Windows 10 is too risky doing this way because a malware can stole all you got in there and yes your wallet also. 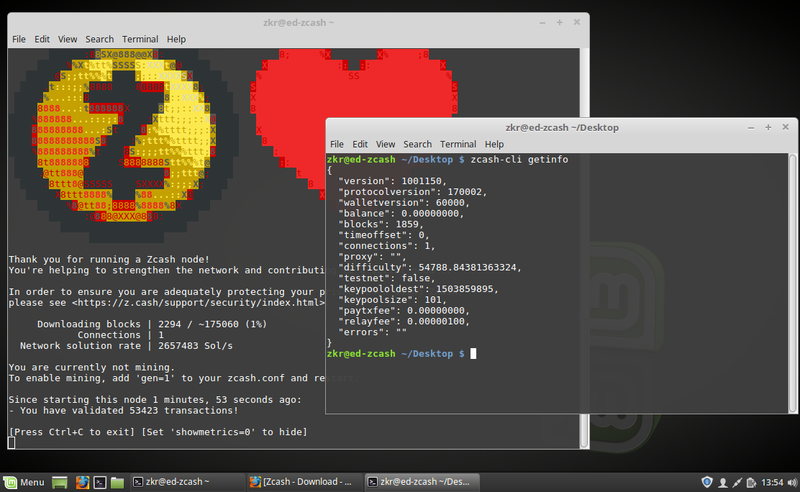 That’s why I opted to do it this way to try to keep it “secure” and is to: Run a virtual machine using a linux distro and install any wallet you want, in my case I’m using Mint and there is not special reason is just that I’m used to it and know it a little bit, I initially used Ubuntu but I got some troubles like it just hangs or gets very slow. So here are the steps of installing Zcash in mint (you can find it here how to install mint in VBox). 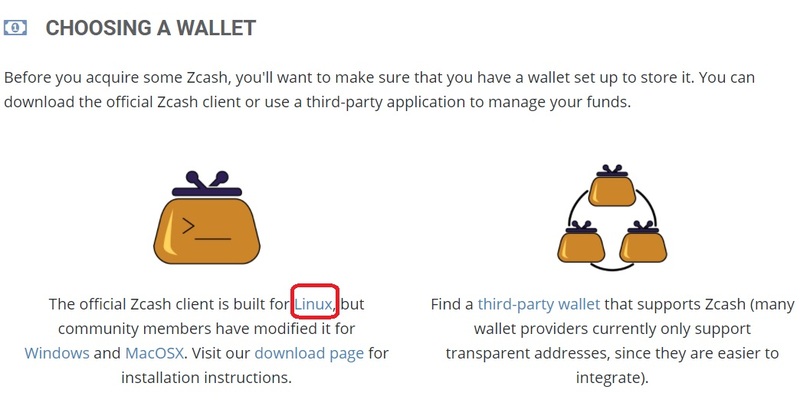 3.- And go to “Choosing a wallet” and go to “Linux” link. 4.- Go down and you will find “Debian Package”, with the instructions you have to follow, execute them in that exact order as beign shown here. Here we go: I will show you step by step what to do and as you will see I’m using the “Debian Package” reference so I’ll use the same notes they have and add mines too. 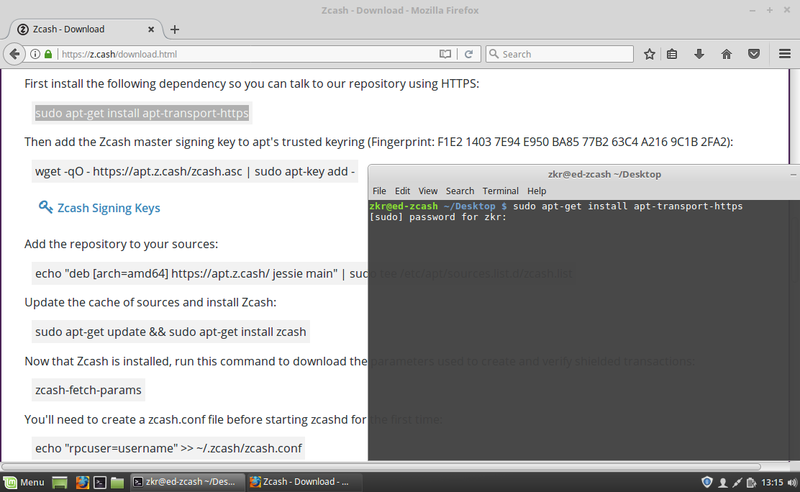 It will prompt for a password, use the password you entered when you installed mint. Notice that after that I’m using clear, this command just will clear the terminal so it’s easy to not get confused here. Note: This will take a little time, just wait until is completed. 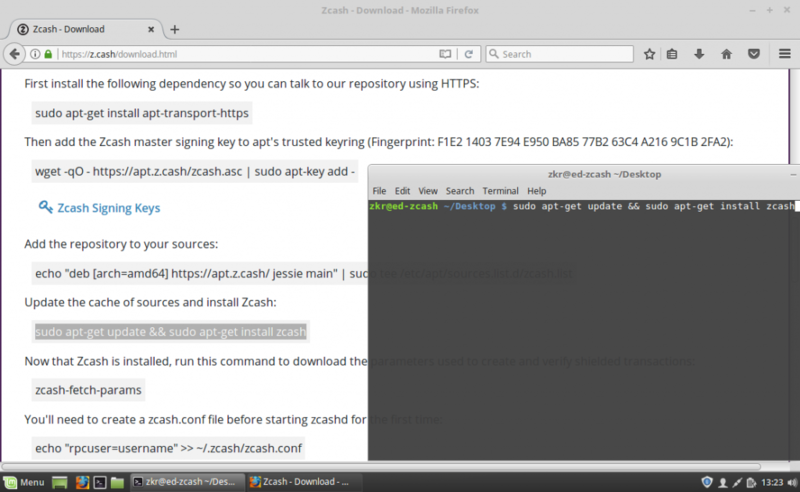 Here is where I change the way we do it, there are many ways to do this, here I will show you similar way we were doing previously through command line, just to give you another example of how to do it is just go and create the folder manually and using an editor like gedit just create the “zcash.conf” and populate with the required text (this is up to you). Expect to see the commands to execute slightly different. 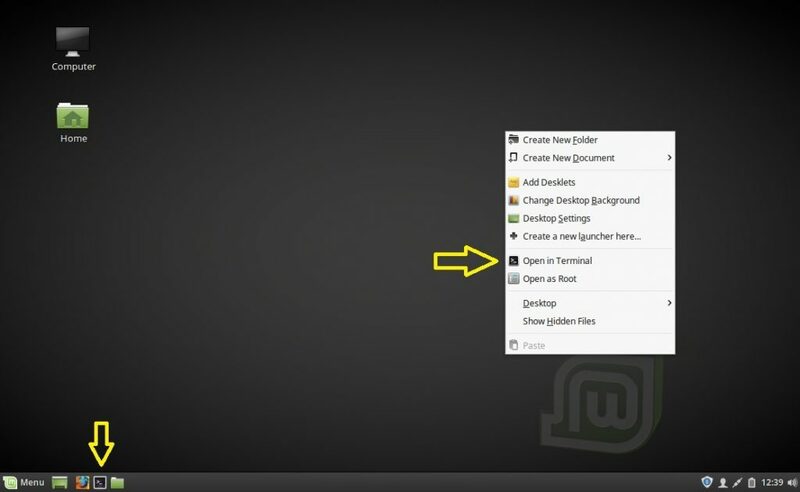 Since the folder is a “hidden folder” you have either to enable to see hidden folders or just use the command “ls -a” to see it. Here are more information you need to enter, so I will show you what else goes in there and what I’m showing is to add the main nest and not the “test” network, so if you want to use test follow the guide in the official site. This also includes “rpcpassword” which actually it generates a strong password for you, you can change it to whatever you want. 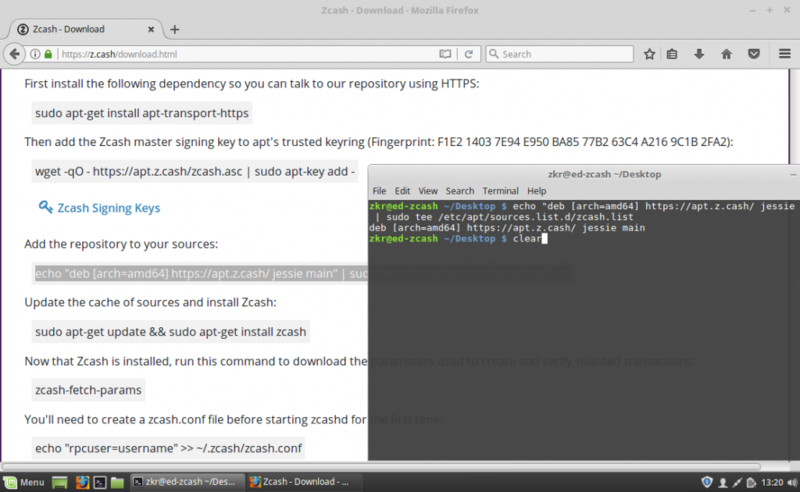 In order to run this command, you have to open a new terminal as shown. And finally just waituntil the blockchain gets fully synchronized (this is required to do operation like send money). Please leave comments if you like it or was helpful to you. Notes: I recommend to use Mint 64bits and at least assign 4gb (4096mb) of memory RAM and 80gb of hard disk of space to it, otherwise it might not work or just if you have troubles it will be hard to troubleshoot.